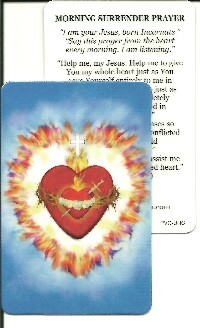 Prayer Card 5 Pack: Morning Surrender Prayer. 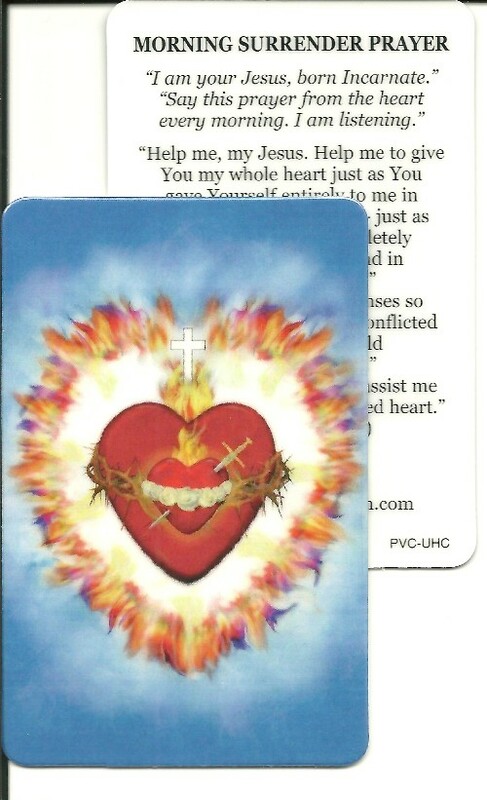 Laminated prayer card with the image of the United Hearts on the front and the Morning Surrender Prayer on the back. Jesus asks us to say this prayer from the heart every morning. Size: 2 1/8 in x 3 3/8 in.